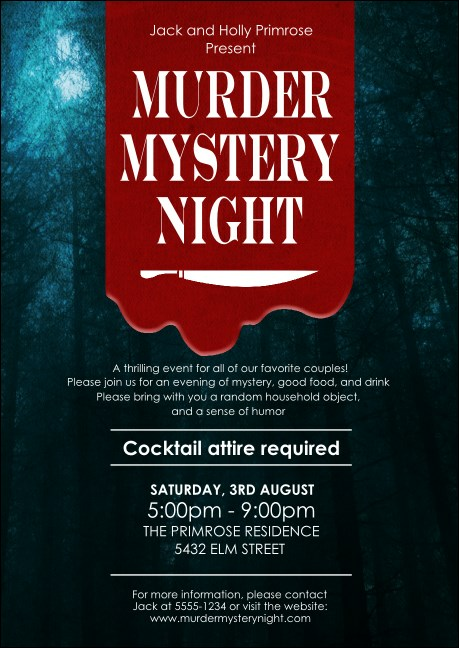 Find new characters to follow the clues and delve into the investigation when you distribute the Murder Mystery Postcard before your costume party. Blood pours down the center of this design, with your event announced above a sharp knife. Send to your guest list or distribute at local theaters. Send a mysterious message with the right postcard from TicketPrinting.com.